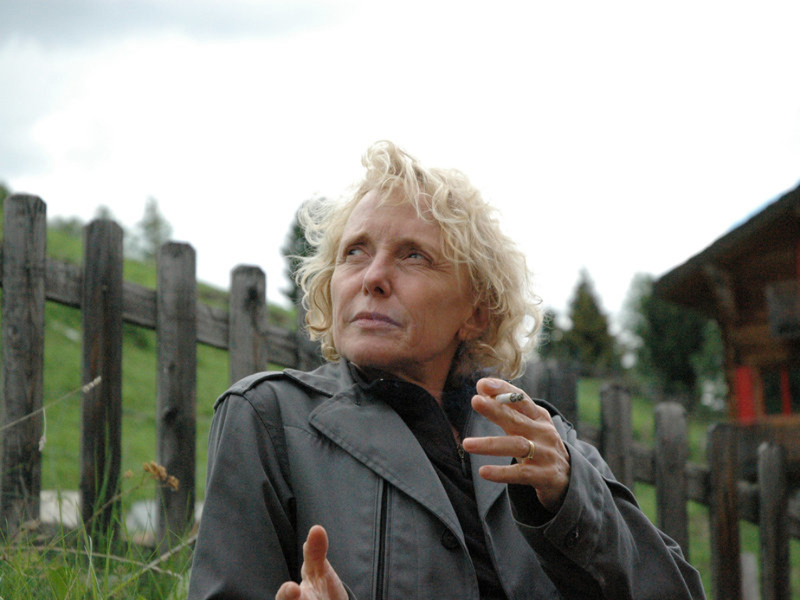 Claire Denis is a French film maker with a mainstream recognition vastly lacking in comparison to her accomplishments. Born in Paris in 1946, Denis spent her childhood in West Africa before moving back to Paris to attend high school. She studied film at L’Institut des Hautes Études Cinématographiques, and worked as an assistant director on cult films including Paris-Texas, Down by Law and Wings of Desire, before her debut feature Chocolat was released in 1989 (not to be confused with 2000’s romantic comedy Chocolat featuring J. Binoche). Following Chocolat, which gained her considerable critical acclaim, Denis was regarded by many as a name to look out for. She directed twelve more films, many of them of them similarly well-praised, with 35 Shots of Rum and White Material frequently included in many lists naming the best films of the 21st century. Her films often deal with questions of colonial and post-colonial Africa from her unique perspective, having lived there as a child, or with problems in modern day France. Still, in 2017, this is the first time I have heard her name, and it makes me question why. After watching 35 Shots of Rum, I think I understand why the fast-paced world of today is not celebrating her as they should. Yet despite today’s mainstream ignorance of Denis’ work, I feel strongly that her films are deserving of widespread recognition. Denis does not create films that quickly switch from one shot to another as soon as the action is over, instead taking lingering shots focusing on the characters themselves. In 35 Shots of Rum, the main male character Lionel (Alex Descas) sees a dead body on the train tracks and begins walking towards it – it is a long and slow journey, during which the camera remains focused on his face as he starts to realise the body belongs to his friend who had just committed suicide. A scene which could have easily been done faster, should the director aim only to inform the audience of one of the side story, instead becomes a memorable moment, filled with emotion – that is Claire Denis. Her focus on the characters rather than the action allows her to deeply connect with the audience. If you were to ask me what the 35 Shots of Rum is about, I could hardly describe the plot in more than two sentences: a widowed father Lionel (Alex Descas) and his daughter Josephine (Mati Diop) come to understand that she is all grown up, and that the time has come for them to start living separate lives. It depicts the loneliness of getting older and the difficulty, but necessity, of leaving your parents. There are no big plot twists, and it does not seem like a screenplay that would be interesting to read on its own. But as Denis shows Lionel and his friend discussing their growing age, and then slowly moves her camera to an old lady listening to the conversation, you grow to realise this is not just about the two guys talking: it is about your father, your grandmother and, sometime ahead, your future. Films like these tend to interest the modern audience less, if Denis’ lack of recognition beyond a small cinephile fanbase is anything to go by. In our fast-paced world, it seems that we need films of a similar speed to hold our attention. Yet despite this, films focused on their characters are, in my eyes, more necessary than ever, as they are a way to shift our own focus from our actions alone, to how those actions affect those around us on an individual level. We allow this shift in focus because Denis’ works do not criticise – instead, they discuss. In her honest use of autobiographical elements in her stories, rather than posing any the moral absolutes where actions are either right or wrong, Denis opens herself up to examination – and so too do we open ourselves, a rare and necessary willingness which only a handful of directors have managed to evoke. The Glasgow Film Theatre will be screening the works of Claire Denis as a part of their CineMasters season surrounding the director: 35 Shots of Rum (October 07-10), White Material (October 14-17) and Bastards (October 21-25). Tickets are available here.